No NFLer has come up in more trade rumors this month than Seahawks cornerback Richard Sherman, but it’s likely he’ll stay put, writes Tom Pelissero of USA Today. It would take something along the lines of a first- and third-round pick to acquire Sherman, and that price probably isn’t going to come down, Pelissero hears. Plus, even though Sherman requested a trade, the relationship between him and the Seahawks is hardly in shambles. Sherman is content to continue his career in Seattle, and the team would have no problem retaining the four-time Pro Bowler, per Pelissero. Next season stands as the final year of Saints safety Kenny Vaccaro‘s rookie contract, meaning it could could be his last hurrah in New Orleans. However, he’d rather ink an extension with the Saints than test free agency next spring. “I want to play for the Saints. I love the team,” Vaccaro told Nick Underhill of The Advocate. “I love coach (Sean) Payton. Coach Payton is going to be here. We got a good young team. I think we’re a couple of pieces away from getting to back to where we were my rookie year. I don’t want to leave that. The grass isn’t always greener.” Vaccaro isn’t “pressing” for a deal, but he does expect the Saints to enter negotiations with him “after all the offseason stuff” is out of the way. The 27-year-old has been a strong contributor to the Saints’ defense since going 15th overall in the 2013 draft, though he is coming off a suspension-shortened season. With Vaccaro’s future in New Orleans uncertain, the Saints had UConn safety Obi Melifonwu in for an official visit Monday, which Charlie Campbell of WalterFootball first reported (Twitter link). Melifonwu is the 45th-best prospect in this year’s draft class, opines Daniel Jeremiah of NFL.com. The four-year starter “has a rare blend of size and speed for the position,” notes Jeremiah. Cornerback Tramaine Brock was arrested on suspicion of felony domestic violence Thursday, and the 49ers released him Friday. Rookie head coach Kyle Shanahan addressed that decision Monday, saying (via Cam Inman of the Mercury News): “We spent the day trying to figure out all the information as much as you can. You never do get all of it, but there was enough there that we felt it was a decision we had to make and move on from (Brock).” The 49ers cut the eight-year veteran with a “failed physical” designation, according to Matt Maiocco of CSN Bay Area (Twitter link). Falcons corner Desmond Trufant will earn nearly half of the money in his five-year, $68.75MM extension by next March, tweets Ian Rapoport of NFL.com. Trufant is due $33MM over the next 11 months, and he’ll average $14.75MM per annum during the first three years of the deal. Cornerback Desmond Trufant has agreed to an extension with the Falcons, reports Jordan Schultz of The Huffington Post (via Twitter). It’ll be a five-year deal worth $69MM, with nearly $42MM guaranteed. This news shouldn’t come as a huge surprise, as we heard exactly a month ago that the two sides were working towards a “lucrative contract extension.” At the time, it was suggested that a Trufant extension would fall just below the five-year, $75MM contract that Josh Norman received from the Redskins last year, and that appears to be the case. The 2013 first-round pick has been a consistent force in the Falcons secondary over the past four seasons. Trufant started all 48 games through his first three campaigns, and his 2015 performance earned him a Pro Bowl birth. A torn pectoral muscle sidelined Trufant for six games this past season, but the cornerback still managed to finish the year with 31 tackles, two sacks, one interception, and two forced fumbles. When he went down with the injury, Pro Football Focus had Trufant ranked as the 32nd-best cornerback in the NFL out of 119 qualified players. Cornerback could arguably be the Falcons deepest position. 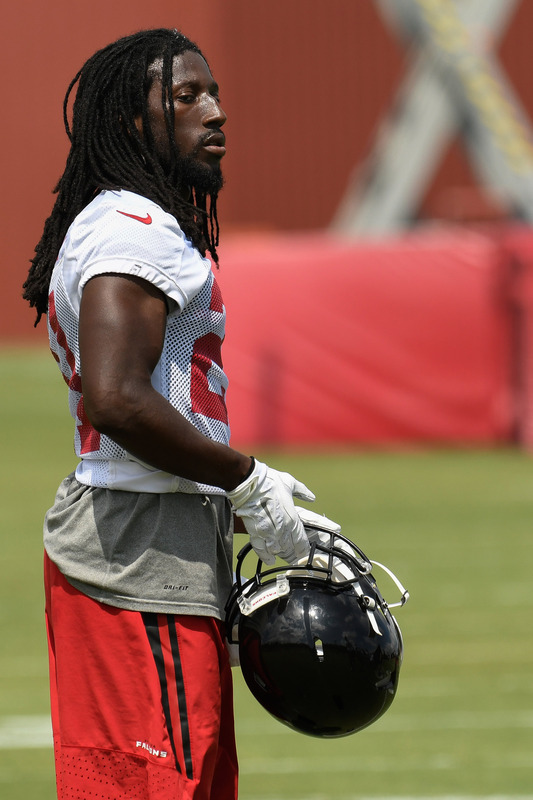 Trufant will be joining a depth chart that features Robert Alford, Jalen Collins, Brian Poole, Deji Olatoye, C.J. Goodwin, and Blidi Wreh-Wilson. Saints head coach Sean Payton had breakfast with free agent quarterback Johnny Manziel last week, but New Orleans has no plans to sign Manziel, a team source tells Jason Cole of Bleacher Report (Twitter link). Indeed, Payton says his meeting with Manziel was focused on getting to know the young signal-caller, as Mike Triplett of ESPN.com writes. In early March, there was word that Manziel was drawing “real” NFL interest, and Manziel says he is sober and focusing on his comeback. 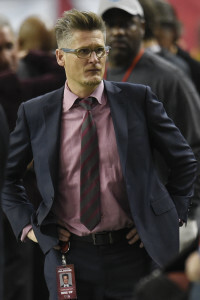 The Falcons hope to come to an extension agreement with cornerback Desmond Trufant “very soon,” Atlanta general manager Thomas Dimitroff tells Alex Marvez of the Sporting News. Earlier this month, a report indicated the Falcons and Trufant were nearing a “lucrative” long-term deal, but no announcement has since been made by the club. Atlanta is also planning to get a contract with running back Devonta Freeman “wrapped up,” per Dimitroff. In January, Freeman was said to be seeking “elite” running back money, but he and his agent have since walked those comments back. Veteran guard Chris Chester isn’t in the Falcons‘ plans for 2017, and the team ultimately expects him to retire, according to Marvez. Chester, entering his age-34 season, was the weak link on a solid Atlanta offensive line in 2016. PFR pointed to right guard as an area of need when assessing the Falcons’ offseason strategy, and while the club has only added Hugh Thornton in free agency, they could still address the interior offensive line in the draft. Jonathan Stewart‘s extension with the Panthers is for one year, but the new deal affects both his 2017 and 2018 cap charges, as Field Yates of ESPN.com reports. Stewart accepted a slight paycut in 2017 in exchange for an effective guarantee of $3.6MM, while the base values of his next two seasons are $4.25MM and $3.75MM. The veteran running back can also earn up to $750K annually via rushing yards incentives. Saints general manager Mickey Loomis considers cornerback and defensive “must” additions this offseason, according to Larry Holder of NOLA.com (Twitter link). So far, New Orleans has addressed those area with bit acquisitions, although the team is considering a big swing as they negotiate with Patriots restricted free agent corner Malcolm Butler. The Falcons are getting close to retaining one of the top free agents. D. Orlando Ledbetter of The Atlanta Journal-Constitution reports that the team is finalizing a “lucrative contract extension” with cornerback Desmond Trufant. It was reported earlier this week that talks were beginning to heat up, as the Falcons were prioritizing re-signing the Pro Bowler. Ledbetter says the deal will likely be worth between $12MM and $14MM a year, and it will just miss the five-year, $75MM deal that Josh Norman received from the Redskins last offseason. The former first-round pick has started every game he’s played in since entering the league in 2013. Trufant earned a Pro Bowl birth in 2015 after finishing the campaign with 42 tackles, one sack, seven passes defended, and one interception. A torn pectoral muscle limited the defensive back to only nine games this past season, but the 26-year-old still managed to collect 31 tackles, two sacks, and two forced fumbles. Trufant ultimately ranked as the 32nd-best corner in the NFL out of 119 qualified players, according to Pro Football Focus’ advanced metrics. Ledbetter notes that the organization is also trying to re-sign safety Kemal Ishmael, tight end Levine Toilolo and fullback Patrick DiMarco. Negotiations between the Falcons and top cornerback Desmond Trufant are “heating up,” according to D. Orlando Ledbetter of the Atlanta Journal-Constitution. Atlanta GM Thomas Dimitroff said last week that locking up Trufant was going to be the club’s next major move, and it appears as if he is making good on his word. 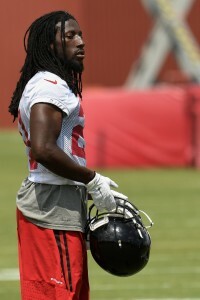 Trufant, the 22nd-overall pick of the 2013 draft, quickly established himself as the Falcons’ best cover corner and was named to his first Pro Bowl in 2015. He picked up right where he left off in 2016, but he suffered a torn pectoral in Week 9 and missed the rest of the season, which was a major blow to a pass defense that struggled even with Trufant in the lineup. At the time of the injury, Trufant ranked as the 32nd-best corner in the NFL out of 119 qualified players, according to Pro Football Focus’ advanced metrics, and he had picked up an interception and two sacks. For his career, he has seven interceptions and three sacks. He had also been highly durable before the injury, having started every game from Week 1 of his rookie season to Week 9 of 2016 (a total of 57 contests). He is already under contract for 2017, as the Falcons picked up his fifth-year option, but the team obviously wants to keep him in Atlanta for the foreseeable future. Of course, Trufant will not come cheap. The market for top cornerbacks seems to increase dramatically with each passing year, and Trufant can use recent deals for Darius Slay (five years, $51.33MM) and Janoris Jenkins (five years, $62.5MM) as benchmarks. Per Ledbetter, Dimitroff and head coach Dan Quinn met with Trufant’s agents until midnight last night. The club is also trying to resign safety Kemal Ishmael, tight end Levine Toilolo, and fullback Patrick DiMarco. Falcons cornerback Desmond Trufant will require surgery for a torn pectoral and will miss the rest of the season, according to ESPN’s Adam Schefter. 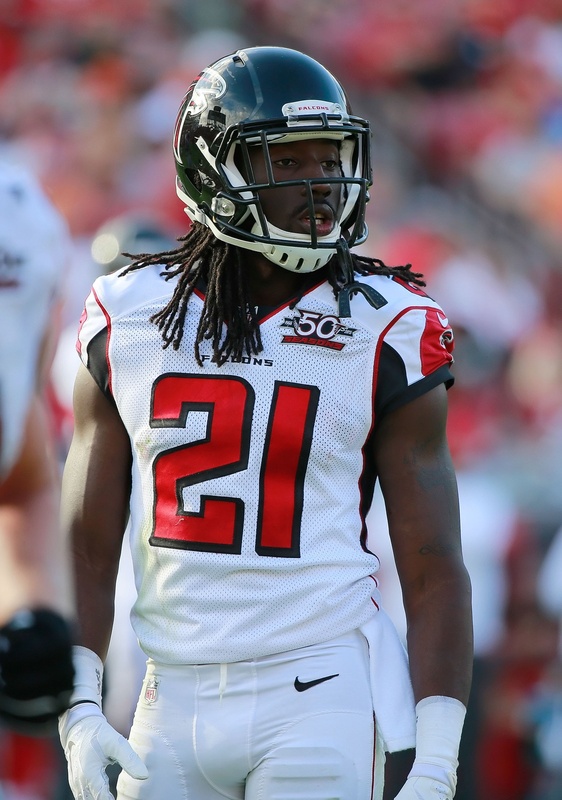 On Tuesday, Atlanta made it all official, announcing that Trufant is headed to IR. In related moves, the Falcons have signed center Trevor Robinson and cornerback Blidi Wreh-Wilson to the active roster. Punter Matt Wile has been waived. Trufant sustained the injury during Atlanta’s Week 9 matchup against the Buccaneers and consequently missed the team’s Week 10 contest against the Eagles. The Falcons then had their bye in Week 11, and Trufant practiced on a limited basis this week in the hopes of suiting up against the Cardinals today. Needless to say, this is a major blow for the Falcons, as Trufant is the club’s best cover corner. He ranks as the 32nd-best corner in the NFL out of 119 qualified players, according to Pro Football Focus’ advanced metrics (subscription required), which is a big deal for a team that ranks among the bottom third of the league in pass defense (per Football Outsiders’ DVOA metric). He also notched an interception and two sacks this season. The 6-4 Falcons sit atop the NFC South, just one game ahead of Tampa Bay. Luckily for Atlanta, the remainder of the team’s schedule is not littered with opponents that boast high-flying passing offenses, with the Week 17 matchup against the Saints looking like the only exception. Trufant, the Falcons’ first-round draft pick in 2013, is scheduled to make $8MM in his fifth-year option season next year. Players like Brian Poole and C.J. Goodwin will need to step up in his absence. Cornerback Desmond Trufant wants to hammer out an extension with the Falcons, sources close to the situation tell Jason Cole of Bleacher Report (video link). However, the Falcons are not in any rush to extend the 2013 first-round pick. The Falcons surely want to keep Trufant for the long haul, but they also want to maintain consistency with regards to how they deal with their high-level players. When Julio Jones and Matt Ryan were coming to the end of their respective contracts, the team waited until they were one year out with both players to get down to brass tacks. With Trufant, there is some talk between the two sides about what a new deal might look like, but Atlanta has no plans of extending Trufant right now. Next offseason, however, we can expect to see more momentum. Trufant, predictably, is looking to become one of the highest-paid players on the Falcons and in the NFL overall. The 25-year-old cornerback (26 in September), who hasn’t missed a game (or a start) in his three seasons in Atlanta, earned his first Pro Bowl nod in 2015. Trufant recorded 42 tackles, an interception, a sack, and a pair of fumble recoveries last season, and placed 13th out of 111 qualified cornerbacks according to Pro Football Focus’ grades. PFF also ranked Trufant as a top-five defender against the run, among corners. Trufant’s 2017 option salary will be worth $8.026MM, though he and the Falcons could reach a long-term agreement at any time before or during the ’17 season. So far today, we have had an influx of Falcons news. Atlanta released veteran return man Devin Hester and the team is reportedly considering veterans Dwight Freeney and O’Brien Schofield. Hester and former Falcons star Roddy White both plan continuing their playing careers. The Falcons have become the latest team to formally exercise their fifth-year option on a 2013 first-round pick. The team announced today (via Twitter) that it has exercised cornerback Desmond Trufant‘s option for 2017. Trufant had indicated earlier this week that he wasn’t thinking much about his option, but that he hopes to remain in Atlanta for the long term. The Falcons’ decision to exercise Trufant’s 2017 option comes as no surprise. The 25-year-old cornerback, who hasn’t missed a game (or a start) in his three seasons in Atlanta, earned his first Pro Bowl nod in 2015. Trufant recorded 42 tackles, an interception, a sack, and a pair of fumble recoveries last season, and placed 13th out of 111 qualified cornerbacks according to Pro Football Focus’ grades. PFF also ranked Trufant as a top-five defender against the run, among corners.